Boots needs new boots. 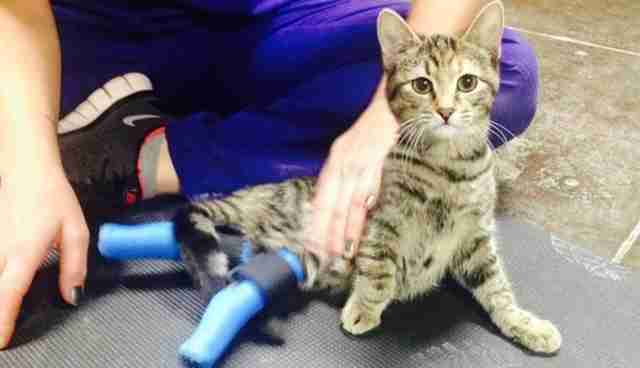 The young, two-legged cat narrowly escaped euthanasia when she was dropped off at a local municipal shelter in Colorado at just two weeks old, suffering from an accidental amputation and unable to eat without help. 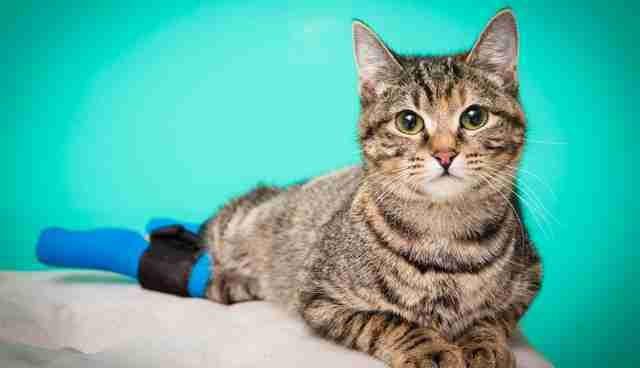 After being referred to Life Is Better Rescue, a no-kill volunteer rescue community, Boots found her way to a new home and a new pair of "house slippers," which have allowed her to re-learn how to walk. Boots gets around caretaker Megan Brocato's house without much trouble now; she's even pretty good at doing handstands down the stairs. 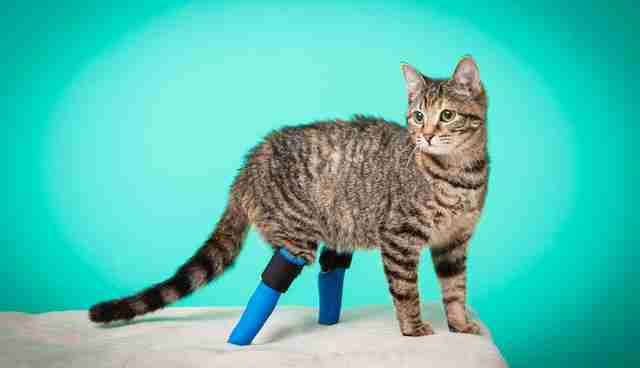 But Boots's story isn't over yet, and the little cat could actually use some help. 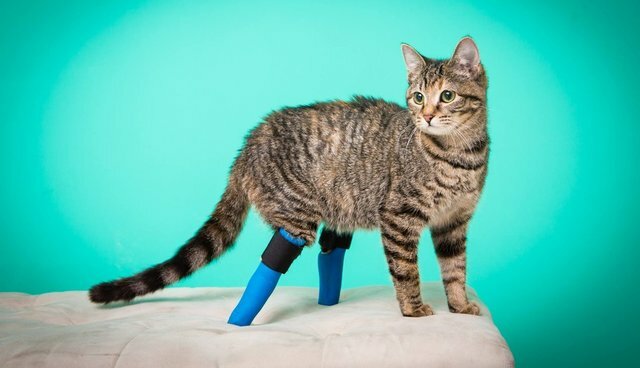 Life Is Better has estimated that a surgery necessary to clean up Boots's painful amputation will cost nearly $6,000 -- a steep fee, but one that will allow the cat to get permanent prosthetics and live without pain once again. She's been capable enough with her house slippers; think of how much more she could do with the real deal. To learn more about how you can help Boots or other needy pets at Life Is Better, visit their website and donation page.